As you're planning a wedding, some things are nice to know. Things like which linens are the all the rage or the classic wedding color that's making a comeback. Then, there are things you NEED to know - advice so essential that any bride who receives it will thank you for years. You're probably now wondering if there's something you may have overlooked (even if you've got everything under control), and we've got you covered. Nail down the approximate number of guests you'll invite before settling on a venue. 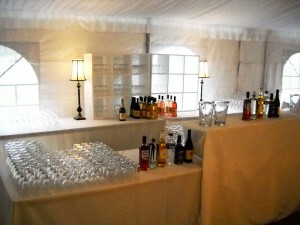 This will help ensure that you have plenty of space for your wedding party. As a rule of thumb, allow for 20 to 25 square feet per guest. That may seem like a lot, but it's not if you count the space you'll need for the tables, bustling waiters, the band, and the dance floor. Plan your big day well ahead of time in case your wedding date falls on the same day as a trade show, conference, charity event, festival or other local event that could affect traffic and hotel room availability. Sometimes, last-minute planning can work in your favor. The closer your date, the more bargaining power you have. Since most people book their wedding sites at least six months in advance, calling for open dates two months prior to your desired time can save you up to 25 percent. And, Friday and Sunday weddings should cost about 30 percent less than Saturday weddings. It's not uncommon that a guest slip out early when facing a super hot Summer day or w0rse - a day where the humidity adds to that - especially with tent weddings or the improperly heated winter loft receptions. Bugs can also swarm in certain areas during the late Spring and Summer seasons. Consider pest control rentals to alleviate the problem or including bug repellent in the gift bags offered to guests. If you want a sunset ceremony, make sure you know when to say your vows by checking this handy little tool. Let one vendor lead you to another. Your wedding photographer can easily tell you which florist has the blooms that pop, and your reception manager should know which band packs a bigger punch on the dance floor. The easiest way to trim your wedding budget is to keep a tightly defined guest list. Remember, half of your wedding expenses go to wining and dining your guests. In a three-ring binder, compile all your correspondences with vendors, notes you make during meetings, and photos or tear sheets from magazines you want vendors to see. Set up a special email address dedicated to your wedding, and store important vendor numbers in your cell phone. Typically, you'll need a bartender for every 40-50 guests to keep the waiting lines at a minimum. If you're serving a signature cocktail that cannot be made ahead of time (or in large quantities), consider adding an extra server designated to this task. It's essential to allocate an extra 5 to 10 percent of your money for ad hoc expenses like the additional invites needed, tailoring needs, umbrellas just in case, and ribbons for the wedding programs. 9. Always Speak your Mind - it's your Wedding. 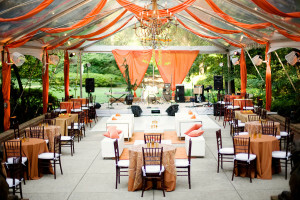 Your vendors should be your most trusted wedding experts during the planning process. You should feel free to explore what it is that you really want - be it snacks over servings or bridal posts over engagement pics. The bottom line is that you need to be able to have an honest conversation with any vendor about what you want. Their job is to let you know what you can and cannot work into the plan, all based on timeline and your wedding budget. 10. Prepare for Anything But Attendee Perfection. As a rule, approximately 25 to 30 percent of the people you invite will not attend your wedding ceremony. Naturally, some of this percentage will depend on wedding location, the location of those on your list, and timing. Immediate family, the bridal party, and best friends are placed at the top of the list. Follow with aunts, uncles, cousins, and close friends you couldn't imagine not be attending. Under that, list the parental friends, neighbors, colleagues, etc. If you need to make some cuts to your list, starting from the bottom works easily in tiers - going one by one until you reach your ideal number. Make sure guests know where they're going. Google Maps, Apple Maps and others may be easy to use, but sometimes the directions are wrong - or there might be a quicker, less trafficked route to take. Ask your wedding ceremony and reception venues for printouts of recommended driving directions, which they will typically have in stock for weddings and will give to you for free. And test out these routes yourself. You must make sure there's ample time for setup. If you're renting a venue and bringing in outside help, ask, "What time can people come in to set things up?" Make sure guests can see you - and hear you. If seated farther than 15 rows back from the altar, consider renting a mic and a riser. You'll need to coordinate the delivery and setup with your ceremony space, so put your wedding planner in charge of this task. Keep an emergency contact sheet with you on your wedding day - a paper of "notes" list on your smartphone, with the names and numbers of each vendor, in your purse. This may come in handy if the limo driver gets lost, or you decide your photographer should add some behind-the-scenes angles to the shoot. 17. Keep a Close Eye on your Calendar. When it comes down to the last month of the planning process, look at your mile long to-do list and cut 3 things. At least three. Not crucial things that you just don't feel like doing, like choosing a song for ceremonial procession - or confirming details and deadlines with your vendors. Cross off your over-the-top items like finger-painting a "Just Married" sign, or baking goodies for the welcome bags. Make a point to never think about these items again.